I often use frozen berries in smoothies and in baking so I jumped at the chance when Wyman’s of Maine asked me to try their frozen blueberries in a Sally Cooks recipe. I was having a few friends for dinner so I decided to make individual apple and blueberry pies for dessert. I experimented with a few different ways of making the pies. My first attempt sprung from a Pinterest image but didn’t work out very well. 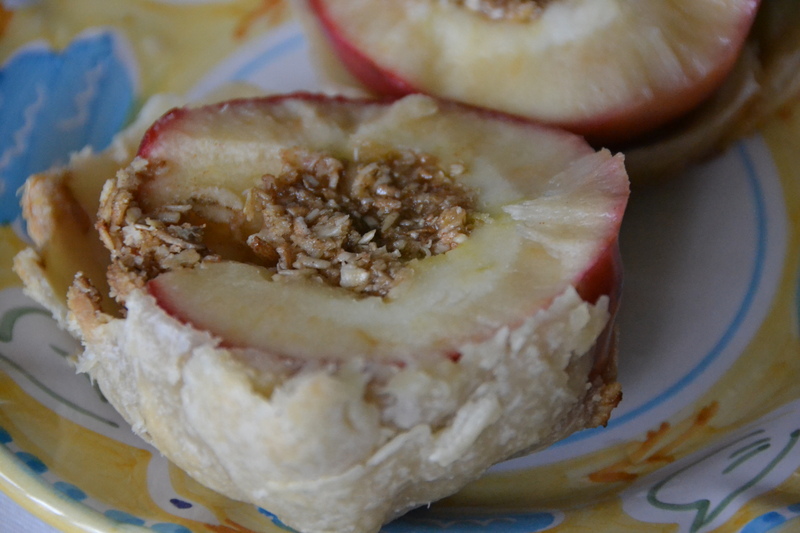 I cored two apples, drizzled the inside with lemon juice to prevent browning and sprinkled a filling of brown sugar, spices and oats inside. 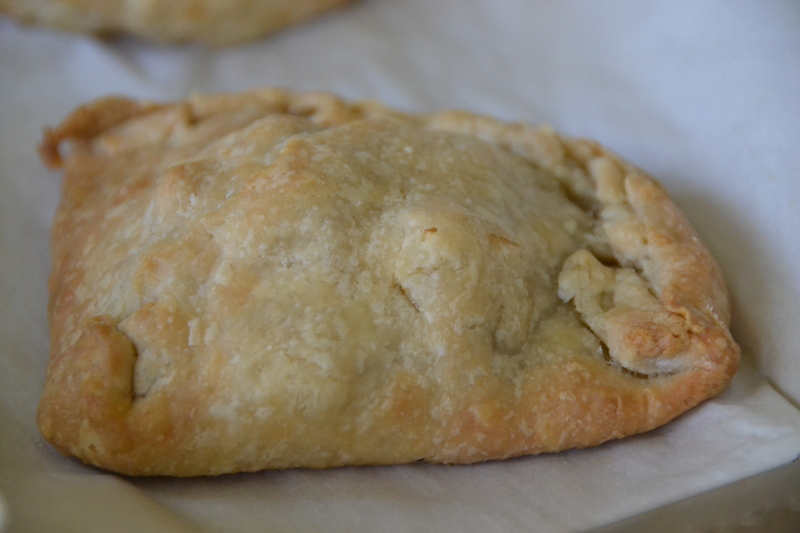 Then I mummified the apples with pre-made pastry dough, using half a pie crust on each apple. I baked them until the dough was golden brown and while they smelled wonderful, I wasn’t thrilled with the results. 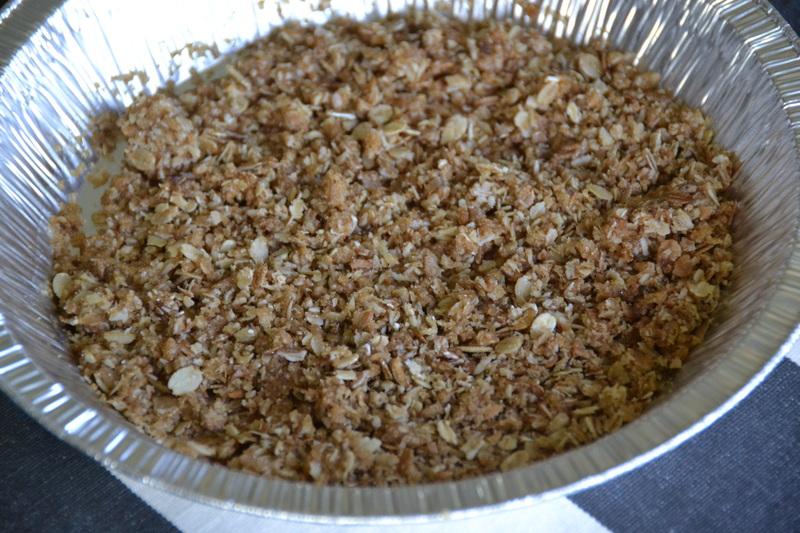 The apples didn’t bake all the way through so they had a uneven texture and mushiness. The pastry flaked off the apples when I cut them which would make serving difficult and a whole apple plus half a piecrust worth of dough made for a too large serving size. So, the following recipe is my second attempt which allows you to use frozen blueberries and to make serving size smaller. Again I used pre-made pie crusts but feel free to roll out your own pasty dough. 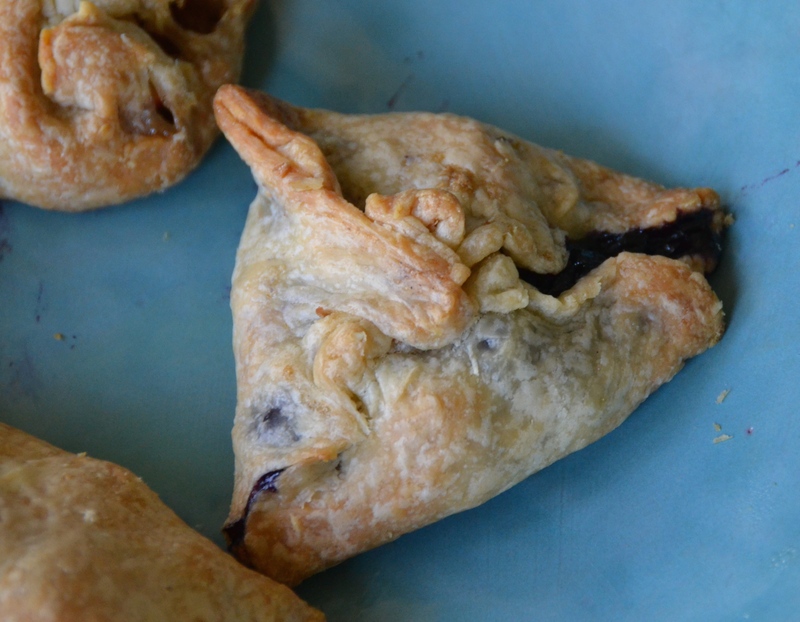 You’ll see from my pictures that I tried a few different ways of folding my hand pies but I think a triangle shape worked best. 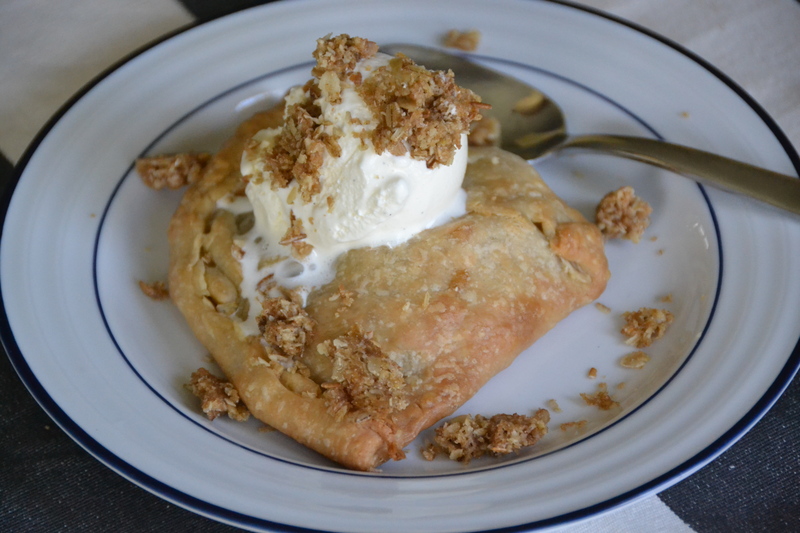 I served the bubbling fruity hand pies with vanilla ice-cream and an oat crumble topping. They were a big hit and the blueberries couldn’t have tasted sweeter or fresher. Wyman’s guards against mushy berries by freezing the fruit within 24 hours of harvesting to prevent the slow growth of ice crystals inside, which expand and destroy the cell structure. Thanks to Wyman’s for the delicious berries! I have lots of frozen blueberries left from last summer so I will try this soon. Thanks. Approachable recipes with a freshness I need in my cooking.